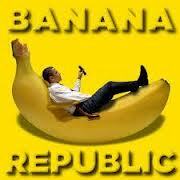 Welcome to the new Banana Republic of America. President Obama has now without the help of congress decided to change the laws and when he will support them. That darned Obamacare keeps exposing its failures and he can’t have that for the next election cycle. So he has chosen to ignore the constitution and pick and chose which laws to enforce. Eric Holder has now decided that not only will he not prosecute African-Americans intimating voters, but he will now not prosecute certain drug crimes. After all drugged voters can be told to vote Democrat. Also heavily sedated voters vote to keep their drug flow uninterrupted. And let us not forget fast and furious and not even questing Jon Corzine over MF Global. Meanwhile the political tool for liberals the IRS continues its war on conservatives groups. Severely limiting conservative groups participating in the 2012 and the 2014 elections. The EPA is doing its best to ban coal for the President. They are also doing an end run around congress for President Obama and enforcing his global warming agenda. At the same time threatening any employees who are stupid ‘deniers’ with using their free speech and objecting. Liberals have banned together and attacked the first, second and fourth amendments to the constitution. And Republicans just take it. They don’t want to raise their voices or they might be accused of being racist. I don’t know which are worse, gutless Republicans or totalitarian lawless Democrats. If President Obama was a white Republican he would be impeached.